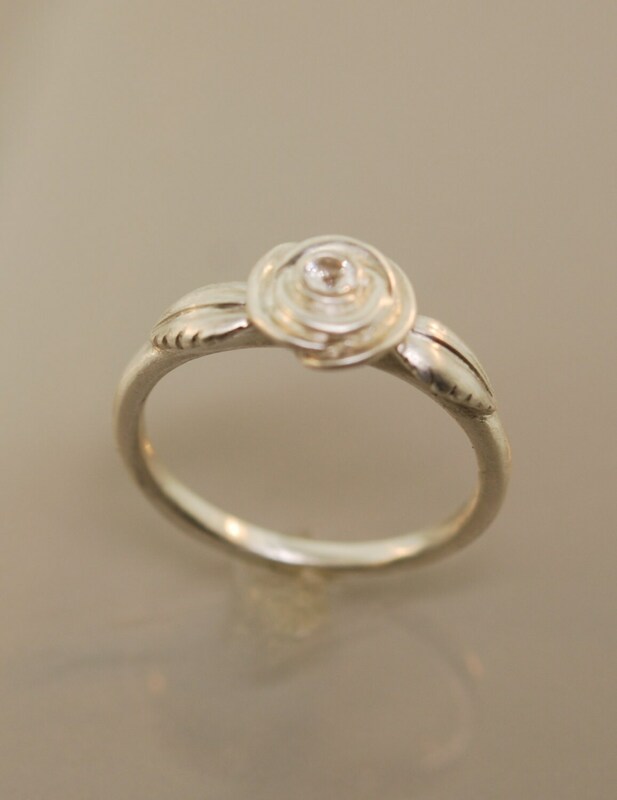 A beautiful rose is set with a white sapphire in its center curls edges. 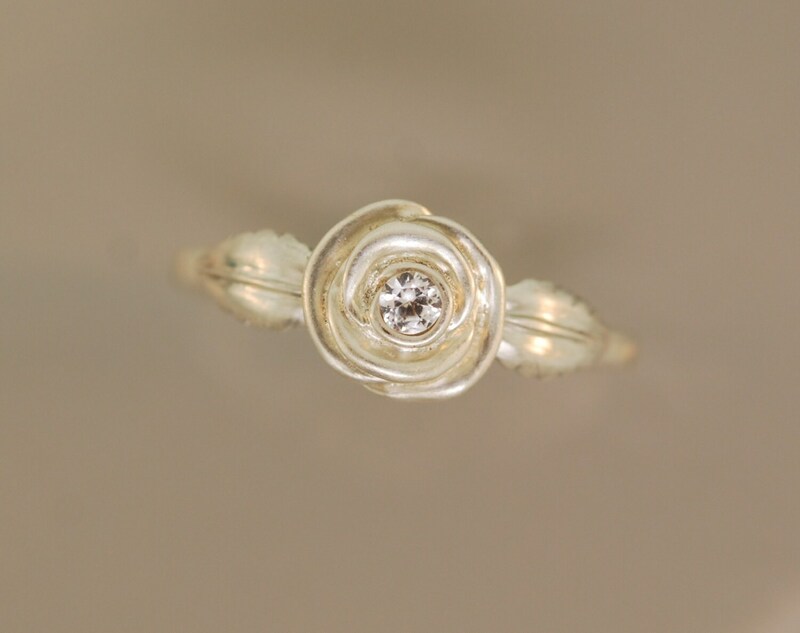 No prongs for this rose! The side leafs have serrated edges. When I made this ring I wanted it modern, pretty, and soft. 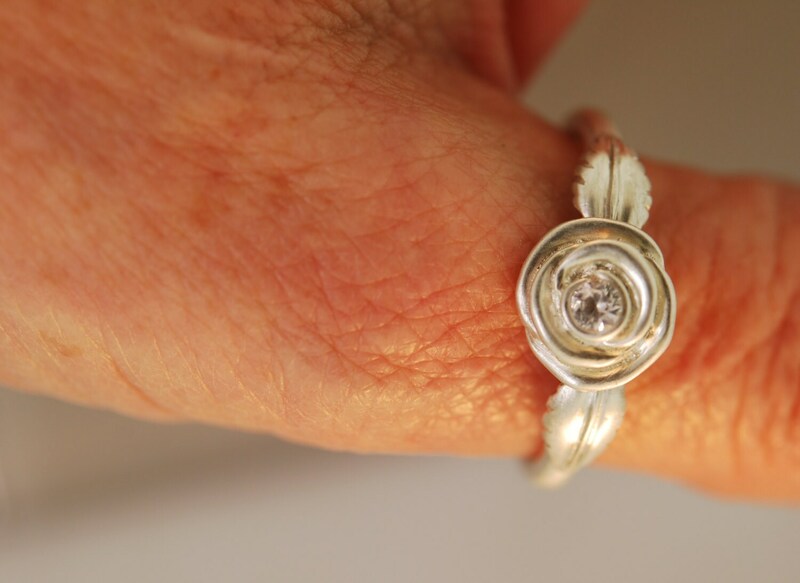 Rose measures around 10 mm and the stone is 3mm. Ring is all sterling silver. I can also make in 14 karat gold solid in yellow, white, or rose. I can also make in many other gemstones.